Hello, my custom steel tube frame is complete and the subfloor is in place for running the electrical wiring and also propane lines. I am ready for the electrical challenge, which to me is pretty substantial. I will have both 12v and 120v wiring. I have no idea as to how large the 12v storage battery should be for this trailer. The trailer will have these items for electrical usage: a galley with lights, refrigerator and 120v and 12v sources of power . 12-v items: lights -12 total, galley receptacle, interior and exterior light, overhead fan, electrical brakes. 120v lights and switches -4, receptacle for galley, shore light receptacles-2 I was advised to use the Intellipower 4000 unit. 60 amp. Is it possible to set up for my trucks electrical system to recharge the 12v systems battery? The trailer is 60" high by 66" wide by 108" long. Exterior size and shape was mandated by an aeronautical engineer with respect to my 4 x 4's shape, which will be the tow vehicle. The unit will have off road capability with ten inches of ground clearance. Trailer has 3,500 pd axle, springs, brakes and full sized tires. I bought a near new popup camper with its roof torn off and am incorporating most items from that unit into my trailer. I have been informed that a solar panel here in NM would be a good idea. There is no set time limit on this build, and I will be building only one of these by myself, so ideas from outside sources are very welcome. 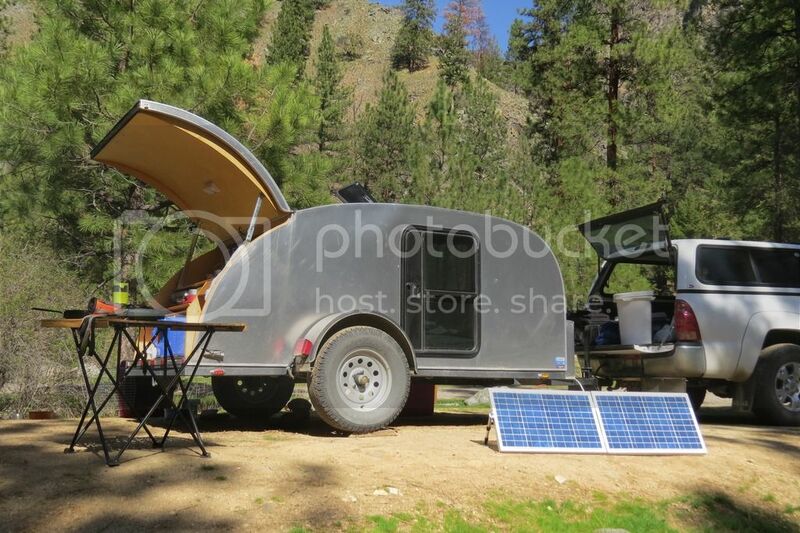 Everything you could ever want to know about small camper electrical systems can be found on the Electrical Secrets forum of this site located here. 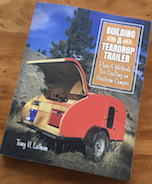 Other than possibly using the trailer's "House" battery as a breakaway power source, your electric brakes will be powered by your trailer connector using a signal from your brake controller; so I wouldn't count that as a regular load to factor into battery size selection. For your lighting needs, you don't state it, but for 12v use LED's are much preferred over any other type. They use a small fraction of the power of incandescent or fluorescent "lamps" (as they say in the lighting industry, "a bulb is something that you plant in the ground") because they don't waste so much as heat. And the prices have become very reasonable. I have had good results shopping at superbrightleds.com (no affiliation). it is best to figure out what you want from your electrical system, then figure out the best way to get it. for example. my 12v system will run my LED lights inside and out, cell phone chargers, and fantastic fan along with a few extra DC plugs for just in case. my 110v system will be limited to just a plug inside the cabin for a space heater if I camp in the winter at a campground, and to plug in the wifes hair dryer in the same event. there will be additional 110v plugs in the galley for the nice to haves if I decide to campground camp. but my trailer is designed to run the 12v primary functions for a long weekend while boondocking and I can do that with a group 24 battery. anything longer than that I will need to charge the battery through the tow vehicle, or a solar panel, or plug in a battery charger. but that isn't even required unless I go over a long weekend. I'm not trying to tout my own system, I am actually interested in yours, but you may want to make sure that you know what your requirments are and what you will use it for before you start listing what it is you are going to build. Which fridge? That may be the biggest power draw, so figure out what it needs. That will help determine how big your battery needs to be, and how you recharge it. I haven't updated my website yet, but I replaced that battery with a real deep cycle, the next size up. Off-road trailer? Sometimes I think we need to define what that means. I too question the need for 110 volts if your just going to boondock. I've been teardropping since 2004 and have never had a need for anything other than our 12v system. We use ice in the cooler and bring a second cooler with extra ice if we're outta touch for longer than three nights. I've got a Group 27 Marine battery (about 50 amps useable) that I'm probably going to downsize this spring to a 20-useable-amp battery. I seldom need those panels by the way. (I've got a 20 watt panel on the tongue box that's sometimes in the sun too though).